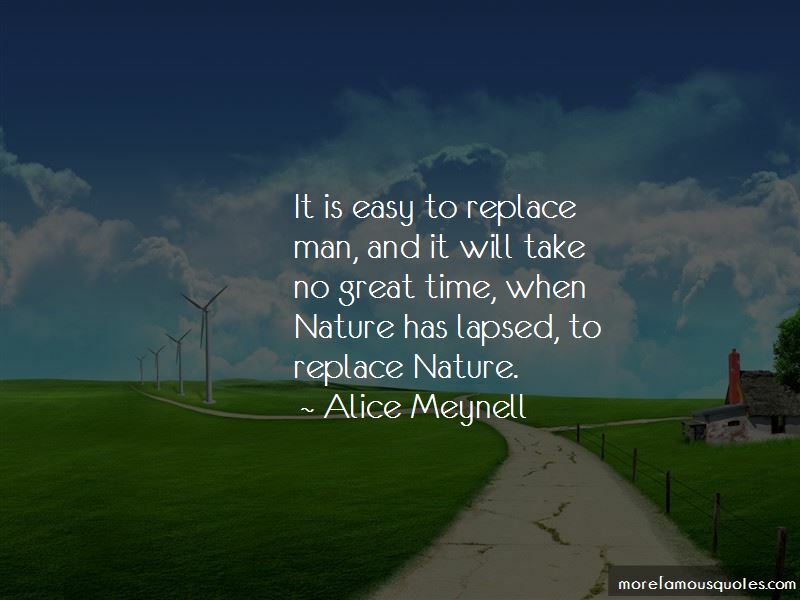 Enjoy the top 47 famous quotes, sayings and quotations by Alice Meynell. In childhood we all have ... a far higher sensibility for April and April evenings - a heartache for them, which in riper years is gradually and irretrievably consoled. But, visiting Sea, your love doth press / And reach in further than you know, / And fills all these; and, when you go, / There's loneliness in loneliness. I am dark but fair, / Black but fair. The cloud controls the light ... It is the cloud that, holding the sun's rays in a sheaf as a giant holds a handful of spears, strikes the horizon, touches the extreme edge with a delicate revelation of light, or suddenly puts it out and makes the foreground shine. 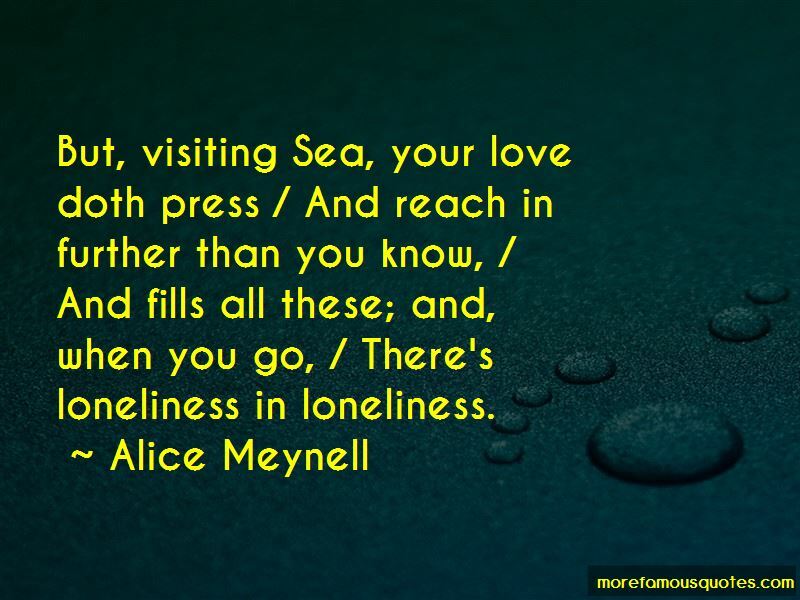 Want to see more pictures of Alice Meynell quotes? 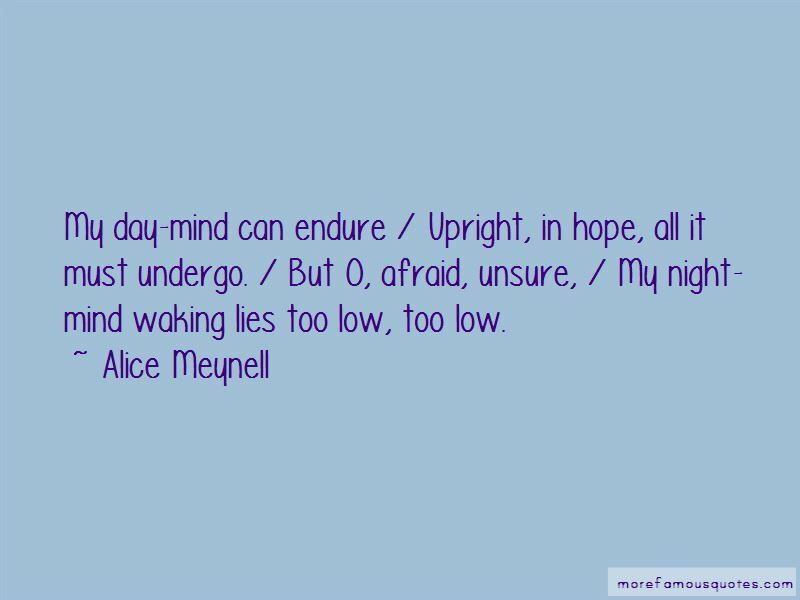 Click on image of Alice Meynell quotes to view full size.